The sepia-tinted memories of going out to eat with family and friends back in the day conjure up warm memories at wonderful places that, unfortunately, are no longer with us. We can never get that back, but, on the other hand, those special memories can never be taken away. Not much has changed at the Pleasant Cafe since its opening in 1937, keeping many of the same recipes and going through only one ownership change since FDR served as U.S. president. 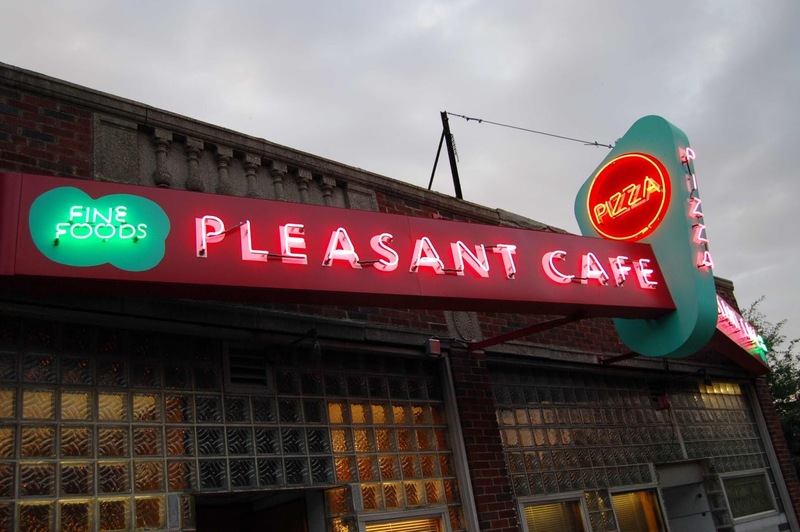 Specializing in Italian and American dishes with delicious thin-crust pizza as one of the signature dishes, the Pleasant Cafe remains true to old school Boston form. 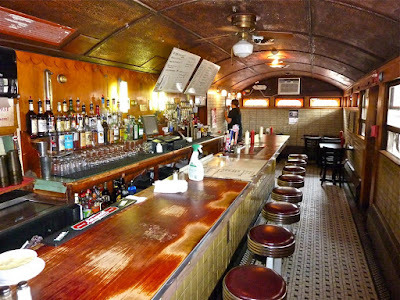 The leather green booth seats, the long bar with green stools and the wood-paneled walls lend a feel that seems more like part of our childhood than that of the 21st century. Plus, Owner John Morgan is a true gentleman -- like a kind neighbor I knew when growing up in the 70s! Woodman's stands as the gold standard for fried clams in the Boston area. It was after all, the birthplace of the fried clam in 1914. The Woodman family still owns the landmark clam shack, now in its fifth generation. 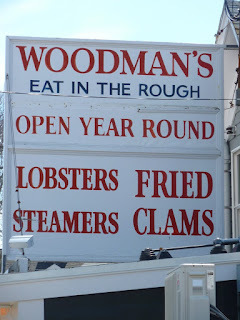 Although a tourist destination, Woodman's never let it go to their heads, favoring the plain, traditional no-frills clam shack atmosphere and continuing to specialize in fried clams, lobsters and steamers. The Woodmans are very nice people -- truly humble and seemingly unaffected by all the success. I had the chance to sit down with Steve and Rhonda Woodman earlier in the year and they treated me like family. What was scheduled to be an hour interview went much longer. 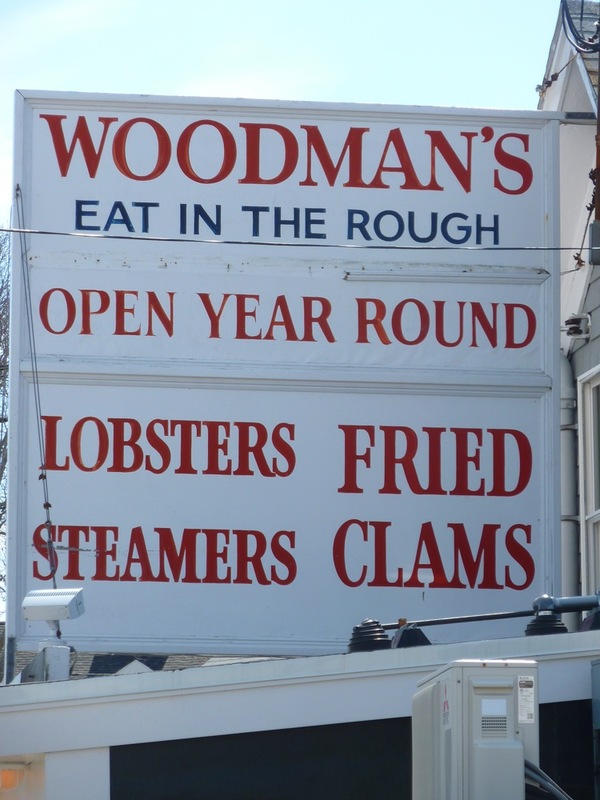 The societal lost art of conversation became revived when chatting with the Woodmans, taking center stage alongside the wonderful comfort foods that, to this day, continue to make Woodman's one of the best old school Boston area restaurants. Bliss started as an ice cream stand in 1930, grew into an ice cream parlor in 1952 and then into a family restaurant in 1978. 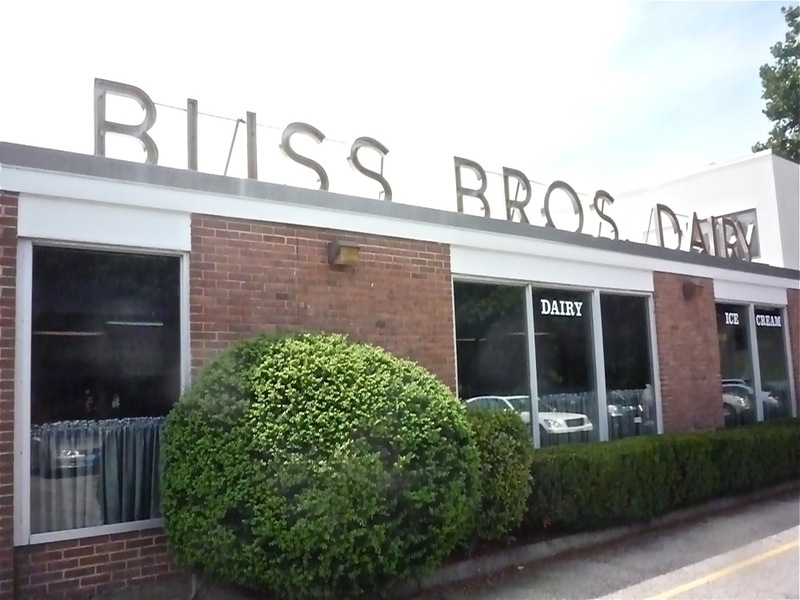 Similar to the former Brigham's and to a lesser extend, Friendly's, Bliss epitomizes the classic ice cream restaurant with breakfast, lunch and dinner items and a fabulous choice of ice cream flavors in a counter and booth restaurant format. Although New England Ice Cream in Norton, Mass., bought Bliss out a few years ago and the restaurant was updated, Bliss still looks every bit the part of old school with families out for a good meal and a wholesome, unpretentious feel that made it so appealing in the first place. My favorite ice cream dish: the Dusty Glacier with two fudge brownies, three scoops of vanilla ice cream saturated with hot fudge and topped with whipped cream, a smattering of cocoa and a cherry on top. Yum! Yes, there still is a Mug N' Muffin around from the days when this chain competed against the Pewter Pot for a place to enjoy coffee and muffins in a Colonial-style atmosphere. Downtown Norwood is so lucky to have this blast from the past gem that remains true-to-form, thanks to owner Dave Monaghan who first started working at the restaurant chain in 1971. 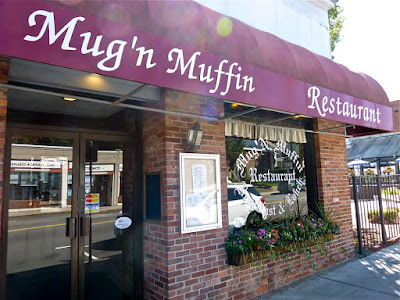 Dave loved working at the Mug N' Muffin so much that he wanted to continue owing one despite the demise of the chain. He and wife Sheila serve up pretty much everything for breakfast and lunch that you remember from the Mug N' Muffin restaurants of yesteryear! The Red Wing Diner first opened in the 1930s and features a classic 1920s dining car embedded into the restaurant. Old school in every sense of the word, the Red Wing Diner specializes in traditional Italian-American specialties (fried seafood and pizza are most popular), a plain-looking dining room, the diner that now serves as a bar and staff that has been there forever. Once stepping into the Red Wing, you definitely feel like going back in time -- this despite upgrades to the dining room. It's especially popular with local families and townies who love the nostalgic vibe. What are some of your favorite old school Boston restaurants still open today?